Looking for Spanish Super Cup tickets? Look no further than EasySportsTickets.com. 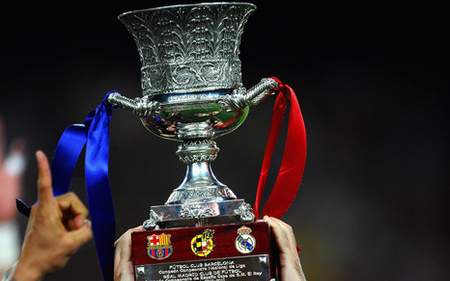 The Supercopa de Espana, or Spanish Super Cup, is a two-leg Spanish football championship contested by the winners of the La Liga and the Copa del Rey. Fans are clamoring to get the best for Spanish Super Cup tickets and EasySportsTickets.com, the trusty name in online ticket purchases since 1994, is here to make sure you get the best deal possible on Spanish Super Cup tickets. Don't wait – let EasySportsTickets.com help you your next Spanish Super Cup tickets.